Mac OS X Yosemite 10.10.2 Beta 1 (Build: 14C68k) and Xcode 6.2 Beta (Build: 6C86e) has been officially released and seeded by Apple for upgradation / updation / installation by all OS X developers and non-developers (general users) for testing and experimenting purpose. The Direct Download Links of OS X 10.10.2 Beta 1 Combo / Delta Update .DMG Files are available instantly. The official OS X 10.10.2 Beta 1 (14C68k) release notes includes; Fixation of bugs, Wi-Fi improvement and error fixes, performance enhancement and addition of new functions. Xcode 6.2 Beta (6C86e) with WatchKit support is now available as toolset for Mac, iPhone, iPad and Apple Watch devices with OS X Yosemite and OS X Mavericks support with the inclusion of iOS 8.2 SDK and OS X 10.10 SDK. 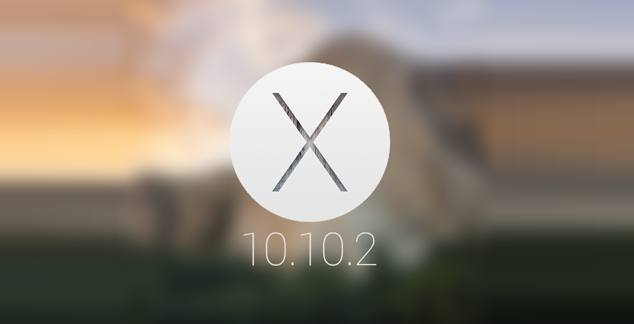 How to Download & Install OS X Yosemite 10.10.2 Beta 1? For all OS X 10.10.2 Beta Yosemite Updates, you can navigate to Mac App Store >> Software Update option. Apple OS X developers can go to OS X Dev Center website to get official OS X 10.10.2 Beta 1 Downloads, whereas OS X non-developers (general public) can manually install and activate OS X 10.10.2 Beta 1 without Apple UDID and developers account via iTunes for FREE. 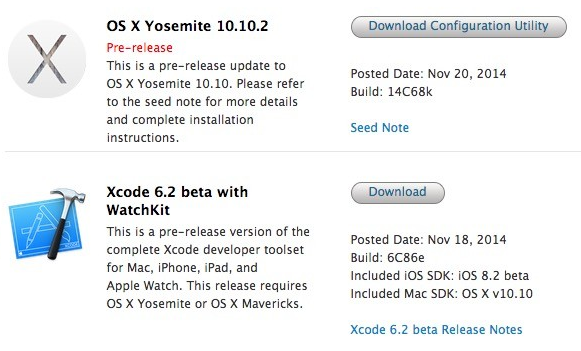 Just Download OS X Yosemite 10.10.2 Beta 1 Delta / Combo Update .DMG Files via Direct Links mentioned below.